To convert or not to convert, that is the question. 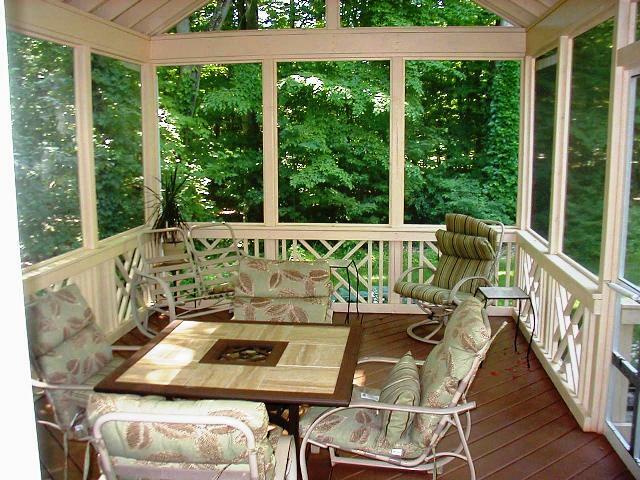 Archadeck of Columbus discusses the A,B,C’s of converting a deck into a screened porch. In a frank and sincere manner to convey what every homeowner considering a conversion such as this needs to know. Should you convert you deck or patio to a screened porch? Would you like to forgo applying sunscreen or insect repellent every time you go outside to spend time on your deck or patio? If so, Archadeck of Columbus may just have a solution. 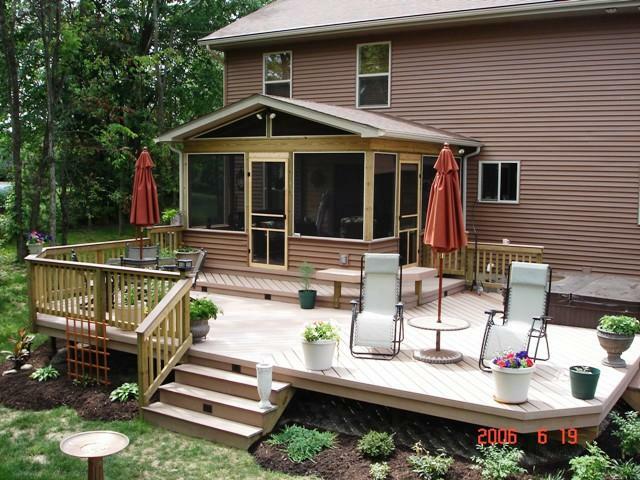 Conversion of your deck or patio into a screened porch. Sounds enticing doesn’t it? Imagine, no bugs, no burn, just pure unbridled enjoyment. In most cases, conversions such as these can be quite possible but you have to make sure that you hire a builder who is knowledgeable in decks and outdoor structures such as this. 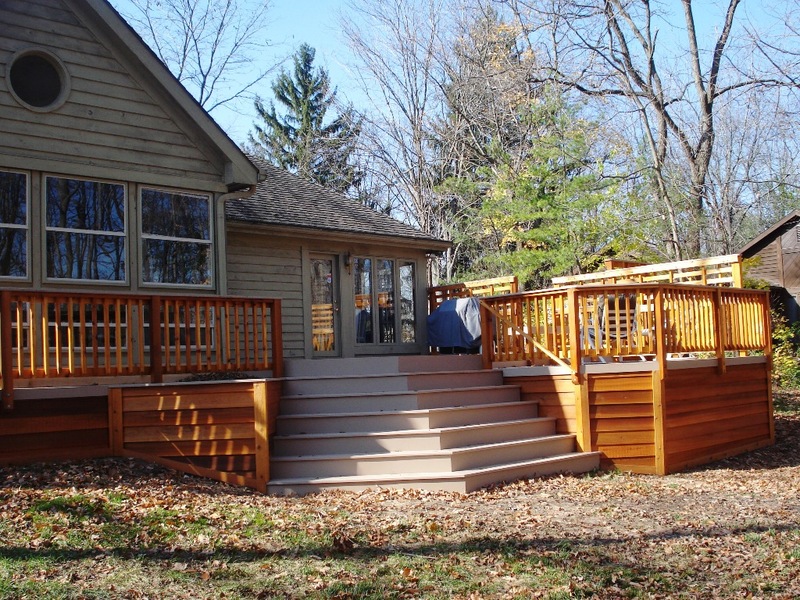 Several factors come into play when you consider a deck-to-screened porch conversion. Whether a conversion is possible first begins with the “bare bones” of your existing deck. A good majority of decks are not built to substantiate the weight of a roof, so you will need to first verify it is built strong enough to withstand a roof addition. Another factor is how was the deck originally built and what kind of foundation does it have? What kind of joists and beams does the deck have? All these are important questions that have to be addressed before planning can even begin. In many cases we can retrofit the structure by installing new footers to substantiate the new weight that would be necessary to encompass adding a roof. A foundation which is strong enough to support a roof needs to go all the way to the corners of the structure. So, if you wish to expand and add a new roof, the foundation of the structure must be extended and new footers created at the corners to support and hold the weight. What seems like the most simple of questions has to be answered prior to any of the above moving forward, most importantly, can the builder even get underneath the structure to reinforce it? Don’t fret. Everything a quality builder does has to be properly permitted and inspected. This means the previous structure you have, if it passed inspection, should be deemed sound as a deck. But it may well not be strong enough to withstand the weight of a roof because it wasn’t made that way. Be aware from the beginning that most builders will only warrant the framed portion of the structure that they build. This means if something goes awry with the substructure as a result of adding a new roof, you cannot use their warranty anymore. This is why Archadeck of Columbus recommends a porch builder reinforce the foundation so it supports the new roofed structure. 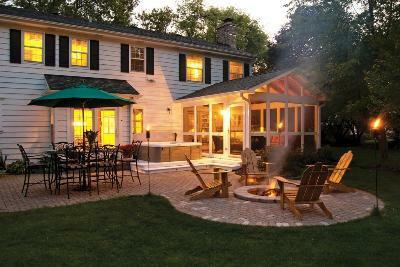 Even if it is not possible to convert your deck or patio into a screened porch, many builders, us included, offer the customer a chance to build the backyard of their dreams through “staged building”. This actually means that we can plan and build your outdoor living structure(s) in stages according to your budget. Many times you can’t afford the entire dream backyard all at once, so we give you the opportunity to build it a little at a time. The huge benefit in doing this means that you stay poised for growth. For example, we can design and install a stunning deck or patio knowing that in the future when you want a screened porch, the foundation has been laid to do so. We make sure the structure is already constructed to reflect and accommodate future changes. 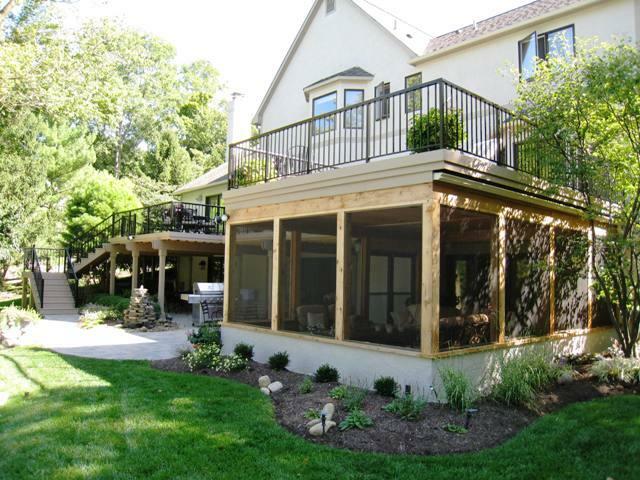 If you are considering a deck to screened porch conversion, or would like to inquire about our staged building, contact Archadeck of Columbus. We can inspect your existing structure and detail a plan to discuss the options you have available. Author archadeckofcolumbusPosted on July 23, 2011 Categories Deck Builders Columbus Oh, Deck Builders Columbus Ohio, Deck Construction Columbus Oh, Decks, Decks Columbus Oh, Decks Columbus Ohio, Screen Porches, Screen Porches Columbus, Screen Porches Columbus Oh, Screen Room Columbus Ohio, Screen Rooms Columbus Oh, Screened Rooms, Screened Rooms Columbus, Screened Rooms Columbus OhTags Archadeck of Columbus, Columbus decks, Deck conversions Columbus OH, Deck to Screened porch conversions Columbus OH, Decks, decks Columbus, OH, outdoor living, Screen Porches, Screen Porches Columbus Oh, Screen Porches Columbus Ohio, Screened Rooms, Screened Rooms Columbus Ohio1 Comment on To convert or not to convert, that is the question. Archadeck of Columbus reviews our list of “top 10 musts” to getting a fabulous screened porch for you and your family. Screened porches have always been a great option but they have even gained more popularity over the last few years. 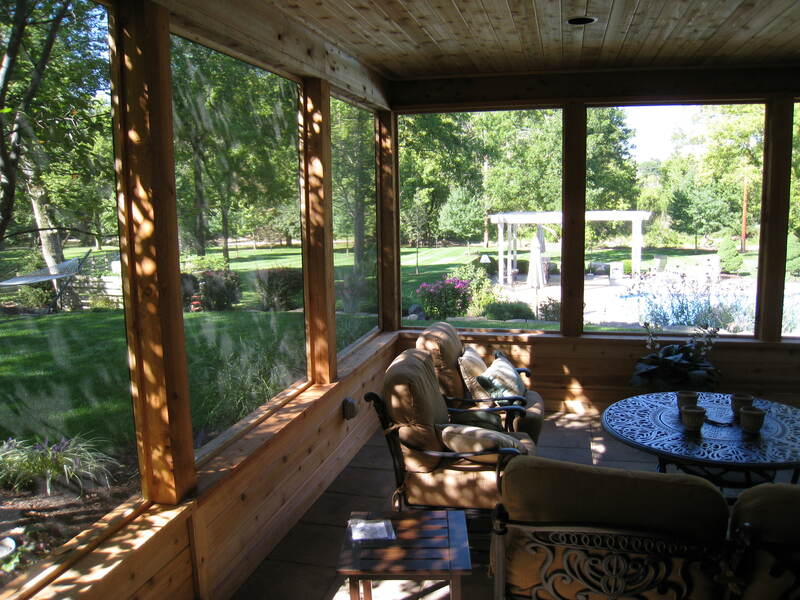 Here at Archadeck of Columbus we have gained valuable insight and knowledge on giving the homeowner the screened porch that they can use as an extension of their living area. With so many new products, materials and design ideas for screened porches around us, planning a screened porch that suits your needs and wants can be a daunting task in itself. So we have compiled a list of the “top 10 musts” when considering a screened porch. These are in no distinct order, but each one is important to getting the best screened porch for you. 1) Consider doors – This includes door placement and the type of door to use. When choosing door placement you want to ensure it doesn’t impede your traffic flow from inside the house when exiting your screened porch. We recommend you always use an aluminum door because wood doors sag and the movement prevents you from getting a clean seal when you use a wood door. 2) Take all aspects of screening into consideration – We recommend you always stay away from hand-stretched screening. The aluminum creases very easily and when it becomes time for screen replacement it will be tedious because it requires trim removal to replace screen. We uses fiberglass screens because it is easier to work with and it does not crease. You may want to use charcoal or gray tinted screen to help reduce glare and block the sun. 3) Must see the “light”-When considering an addition of any kind to your home you have to consider loss of light in your home. 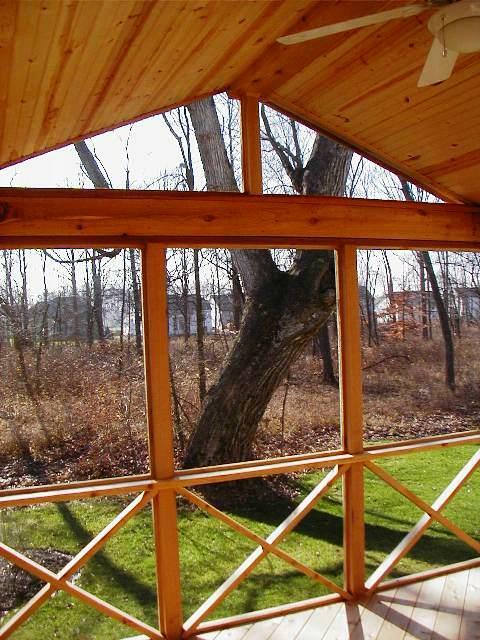 Screened porches will reduce the amount of light the rooms adjacent to it receive because of the screens and the elements of the entire structure. You must also take into consideration how much light you want within your screened porch and what means you wish to use to obtain that light. Do you want recessed lighting? Ceiling fans with lights? These are options that need to be decided prior to any electrical work. You may consider one or more skylights if you want a tremendous amount of natural light within your screened porch. 4) Consider electrical needs– This relates to how many outlets you will need and other electrical needs such as ceiling fans and the type of lighting you decide to use. 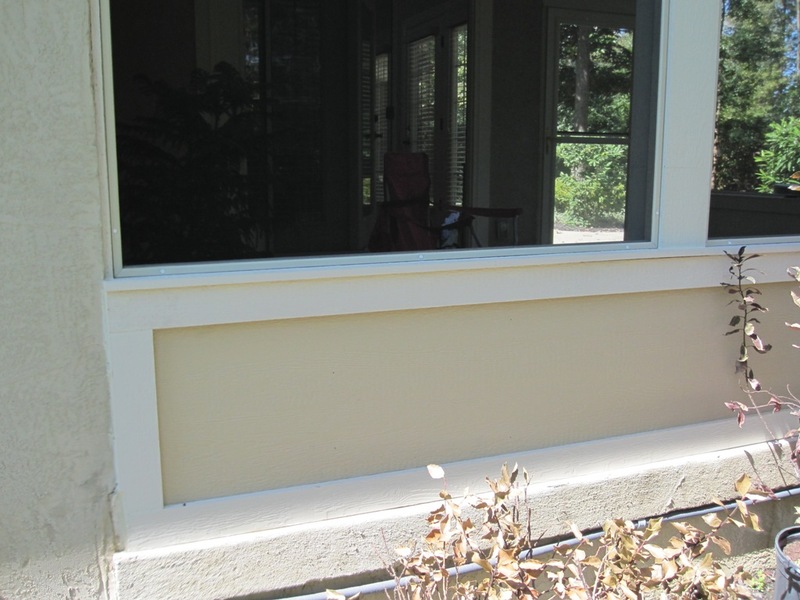 Many of our customers like to install wall-mounted flat screen televisions on their screened porches. TV’s such as this require cable and other sources ran to it which your electrician will need to know about ahead of time to make preparations for you. 5) Consider different materials– You must consider the materials you wish to use in your screened structure and how they look and work together. There is a huge selection to choose from. These are pressure treated wood, cedar, composite and vinyl to name a few. You also have to take into consideration your flooring choice, exterior materials and your interior trim. Interior trim finishes such as beadboard and wooden ceilings can add character and uniqueness to your structure. But, nicer finishes also add to the price. 6) Consider roof style– Your roof style most likely will be dictated by the roof of your existing house and the amount of light you wish to receive within your structure. In some cases a different type of roof is possible and actually works and looks better. Your licensed contractor will help you choose the roof best suited to complement your home. 7) Consider how your will furnish your structure – It is a good idea to have furnishings picked out or already in mind in relation to style and size. We highly recommend using furnishings with respect to functionality and special needs. It is also a good idea to measure a room within your existing home to get a true “feel” of realistic room size in relation to furnishings. 8) Consider zoning requirements – It is crucial to know the zoning requirements in your area with respect to building any type of structure. An expert will take care of this for you and let you know what is required. 9) Consider the ceilings – Make certain you consider what type of ceiling you desire, such as flat or cathedral. Flat ceilings give your screened porch a interior room feel as the cathedral with its celestory look is open and more outdoorsy. 10) Must consult a professional on screened opening and necessary post placement – This item is last but certainly not least on our list. This step confirms structural soundness and avoids any safety or structural issues. Part two of our Design Series on screened porches focuses on considerations when finishing out your screened porch. How to use natural light to optimize enjoyment and the importance of envisioning traffic flow. Now that you have defined how much space you need for your screened porch it is time to decide how to finish out your space. There are many considerations that come into play when deciding how to finish out your screened porch, one of which is probably one of the most important… where and how will the room receive it’s light? When planning on building a screened porch or other outdoor structure it is crucial to detect which direction it will be receiving the sun. If your structure is in direct sunlight it will stay too warm, and if it is completely in the shade it may not get warm enough. You want to place your structure for maximum utilization of free light with consideration to how much heat you want from the sun. Considering you will lose a certain amount of sunlight when you install a roof on your structure you have to look for ways to overcome that loss. Positioning the porch where you can take advantage of the light coming in from other windows in relation to your house is an option. A gabled roof will also let more light pass through. Remember the west side of the home usually has the most light, and heat, this will also have to be a consideration when considering placement of your screened porch. When placement of your screened porch is not open to many options there are other ways to obtain that much-needed light, such as skylights. Skylights add beauty and function to your screened porch. There are also many outdoor lighting and ceiling fan designs on the market now that cater to the screened porch. These lights and fans are safe to use outdoors in a screened porch setting and come in enough styles to suit any taste. Another key factor of finishing your screened porch is the traffic flow. We typically put the door near the house, but in some cases this may not work. Door positioning is important in relation to your furniture and you have to take into consideration how that furniture will be used and will it be in the path of traffic when in use? You always want a smooth traffic flow around your furnishings whether they are in use or not currently in use. Take into consideration the door swing as well, you wouldn’t want the door to swing open against a piece of furniture. You want a clear, open traffic flow, so you and your guests can move about in harmony throughout your structure for maximum enjoyment. The Design Series – Considerations in Constructing a Screened Porch- How Big Should your Screened Porch Be? 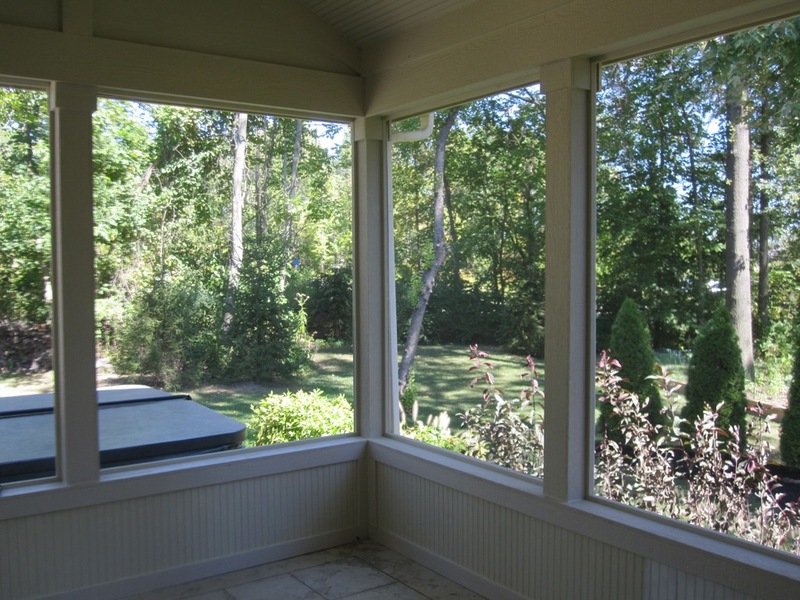 Part one of our “Design Series” about considerations when constructing a screened porch. 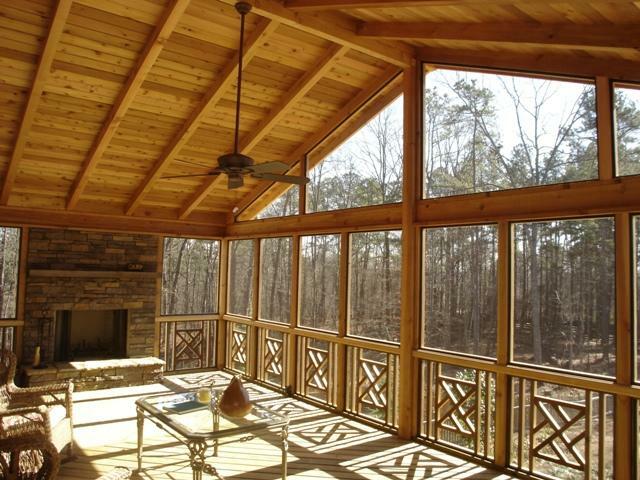 How big should your screened porch be? 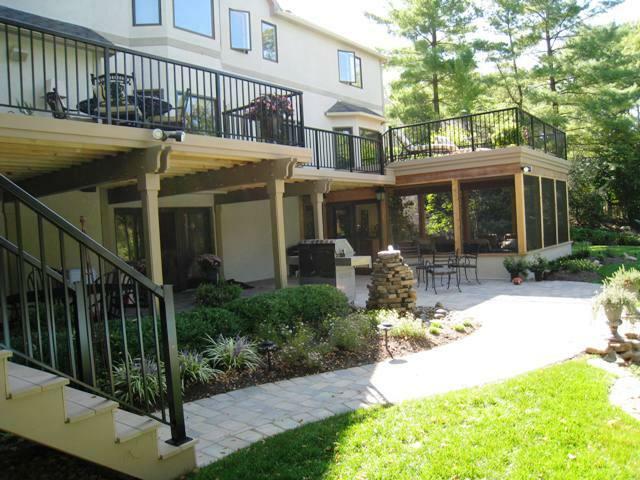 Archadeck of Columbus gives you helpful hints on ways to determine the best size screened porch to fit your needs and lifestyle. How big should my screened in porch be? This is a question many of our clients ask us when considering the addition of a screened in porch. We like to meet with our clients in the planning stages so we can devise a plan on the size their particular structure needs to be to fit all their needs. The first factor we need to discuss when considering how large to build the screened porch is what will it predominately be used for? Will it be used for dining or gathering, or both? What else will it be used for? A good rule of thumb if you are planning to use the screened in porch as an outdoor dining area is to chart how large it needs to be by going into your dining room and measure it. An addition is sometimes hard to visualize when it’s not furnished, and going into your actual dining room space with furniture will set a realistic goal to judge how much room you will actually need. Another question we ask our clients is the size of the furniture which will be used inside the screened porch. If you will be using it as an outdoor dining area, have you decided upon a table yet? If so, how big is it? If not how big do you want your table to be? You always want to leave a clearance area of about four feet outside the table so you have ample room to walk around the table when it is not in use, and plenty of room to pull out the chairs to a comfortable distance when in use. If you are sitting back after eating, we recommend additional space. These are the sorts of things you may not think about. But, you really have to envision yourself living in the space you are thinking about all the way down to the size of the table and how you and your guests will congregate around the table and the other furniture. There are some more things to think about. Will you be adding perimeter furniture such as couches, chairs, tables or decorative furniture pieces? If the answer is yes, then you will want to plan for those additional pieces to fit comfortably and not overcrowd your usable living space. 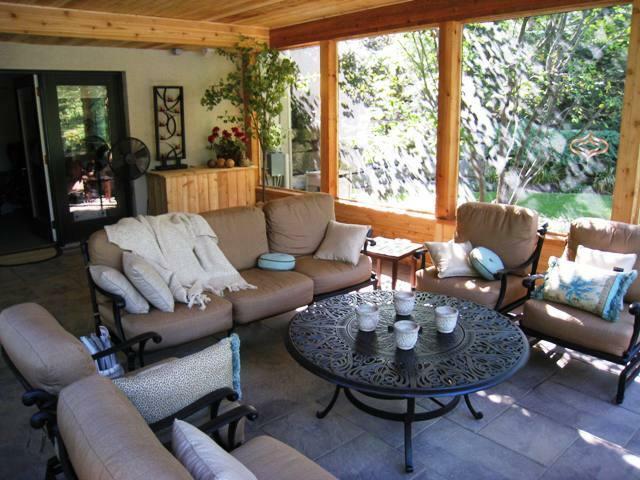 Some of our clients use their screened porch as an outdoor living room. If you are thinking about using your outdoor room as an outdoor living room, go into your living room and measure the room and furniture in the same manner. 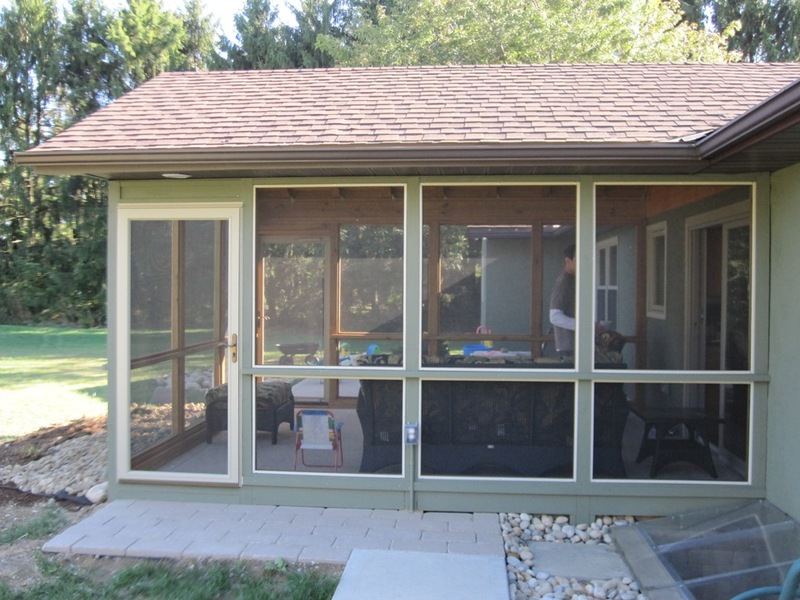 We are always asked the question is there a “standard” or “common” size for a screened porch? They vary quite a bit, but 12×14 and 14×16 are quite common sizes. The dimensions of the screened porch come into play more with a covered area because when you put a roof over it, it becomes defined. The screened porch must be able to accommodate your furniture comfortably and leave enough space in between to be able to flow through the room easily. This is why planning is so important. Author archadeckofcolumbusPosted on April 27, 2011 Categories Screen Porches, Screen Porches Columbus, Screen Porches Columbus Oh, Screen Room Columbus Ohio, Screen Rooms Columbus Oh, Screened Rooms, Screened Rooms Columbus, Screened Rooms Columbus Oh, The Design SeriesTags Archadeck of Columbus, outdoor living, Rustic Screen Porches, Screen Porches, Screen Porches Columbus Oh, Screen Porches Columbus Ohio, Screened Rooms, Screened Rooms Columbus Oh, Screened Rooms Columbus Ohio, The Design SeriesLeave a comment on The Design Series – Considerations in Constructing a Screened Porch- How Big Should your Screened Porch Be?